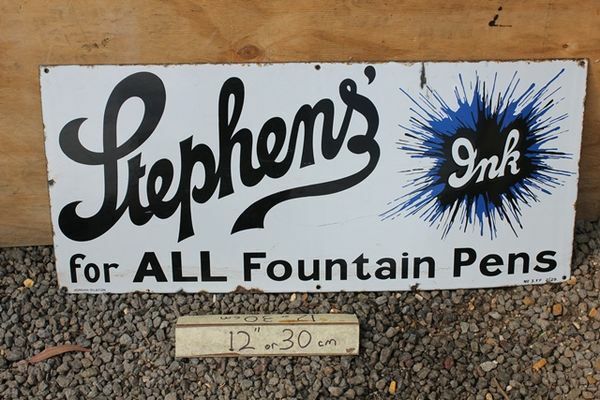 Stephens Inks Quality Enamel Advertising Sign. Stephens Inks Quality Enamel Advertising Sign. 92cm x 42cm. Good colour and gloss, Nice original sign.